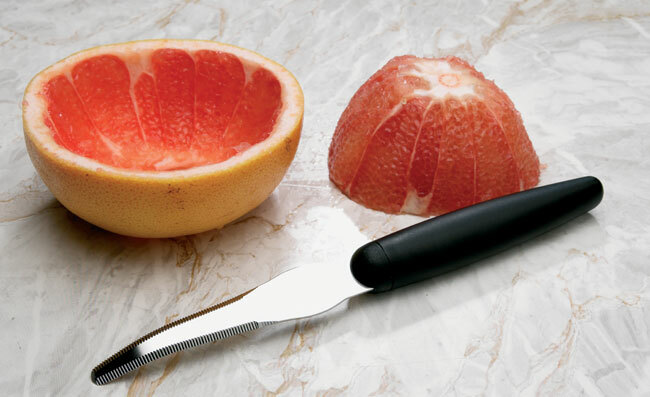 Curved blade, finely serrated on both sides, can be used by right or left handed people. Dishwasher safe. EXOGLASS® handle.